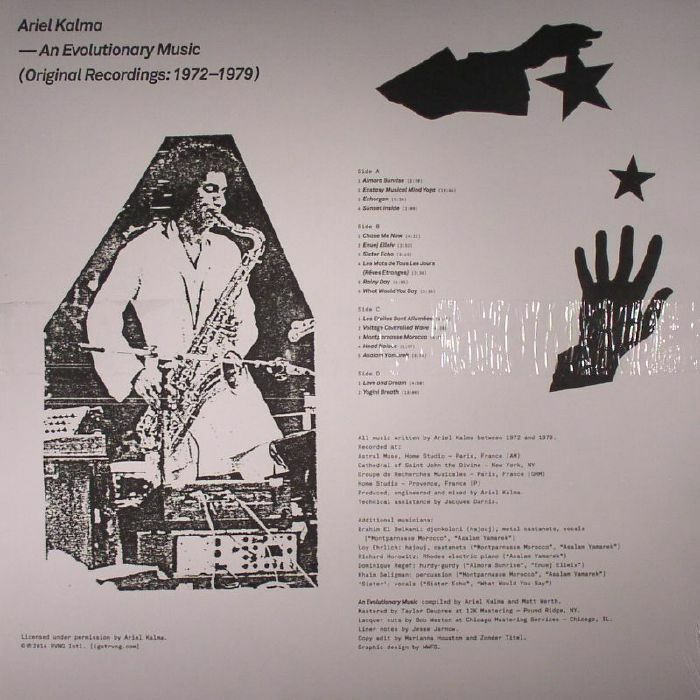 Ariel KALMA An Evolutionary Music: Original Recordings 1972 1979 vinyl at Juno Records. 2. "Ecstasy Musical Mind Yoga"
4. "Les Mots De Tous Les Jours (Reves Etranges)"
6. "What Would You Say"
1. "Les Etoiles Sont Allumees"
RVNG Intl's reissue series has been the jewel in the label's crown this year, with K Leimer's A Period of Review and Craig Leon's Nommos both offering killer retrospectives that put many other labels to shame. The third and final subject for this year is Ariel Kalma, a French-born musician who found inspiration in India's sacred music traditions on a trip to the country in the '70s. 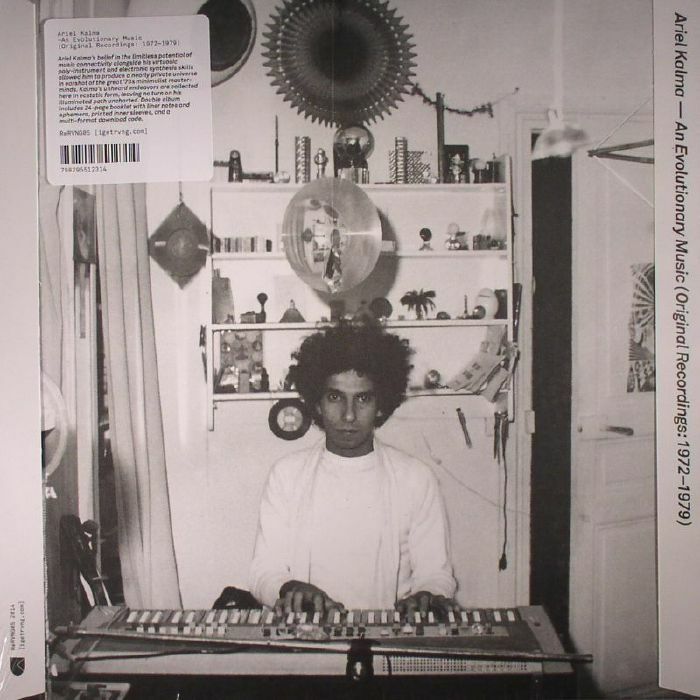 An artist whose minimalistic style is comparable to Terry Riley, La Monte Young, and Charlemagne Palestine, An Evolutionary Music (Original Recordings 1972 - 1979) collects unheard material from the artist's archives, and is essential listening for fans of psychedelic floatation tank sounds.